You are currently browsing the tag archive for the ‘camaraderie’ tag. 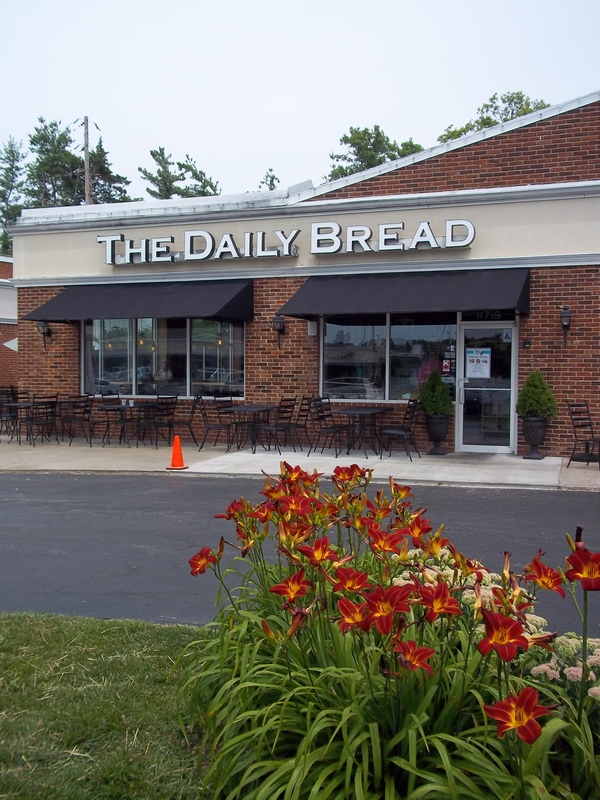 Such is the philosophy of the founder of The Daily Bread Bakery and Café, expressed on its website. A locally owned family business for several decades with an ever-changing menu, it presents delectable foods in tantalizing forms. For instance, July’s Annual Blueberry Festival features an array of blueberry concoctions: pies, strudel, cream cheeses, bagel packs, scones, Danish, tarts, and breakfast breads. A visit to this St. Louis County café validates this philosophy in spades. Once inside the glass door, a vortex of energy engages you. Patrons of all ages and background spill over the simple blonde tables and chairs and booths siding the café, its walls adored with ingredients used in cooking. The cheerful wait-staff, some of high school age wearing black T-shirts with the logo, add to this ambiance. Behind the counter, another team assembles the soups, salads, sandwiches, and oven-bake the pizza orders requested by the hungry. A sense of deep color and care invigorate those who frequent this special place, in some respects likened to what used to happen in church, at least for me. Another example of how Precious God has become anonymous to feed us.